Shandong (Shāndōng 山东) is a coastal province of eastern People's Republic of China. Its abbreviation is Lu (lǔ 鲁), after the state of Lu (lǔ guó 鲁国) that existed here during the Spring and Autumn Period (chūn qiū shí qī 春秋时期). 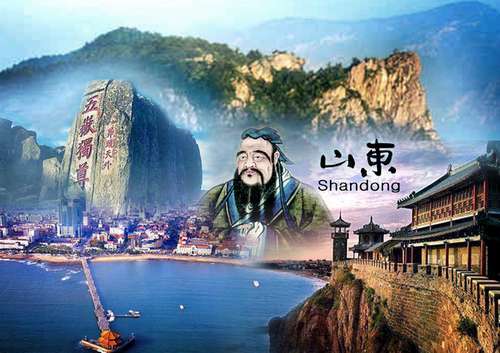 The name Shandong literally means "mountain's east", which refers to the province's location east of the Taihang Mountains (tài háng shān 太行山). The province is located in the lower reaches of the Yellow River and extends out to sea in the form of the Shandong Peninsula. Shandong borders the Bohai Sea (bó hǎi 渤海) to the north, Hebei (hé běi 河北) to the northwest, Henan (hé nán 河南) to the west, Jiangsu (jiāng sū 江苏) to the south, and the Yellow Sea to the southeast; it also shares a very short border with Anhui (ān huī 安徽), between Henan and Jiangsu. A common nickname for Shandong is Qilu (qí lǔ 齐鲁), after the state of Lu and state of Qi that existed here during the Spring and Autumn Period. 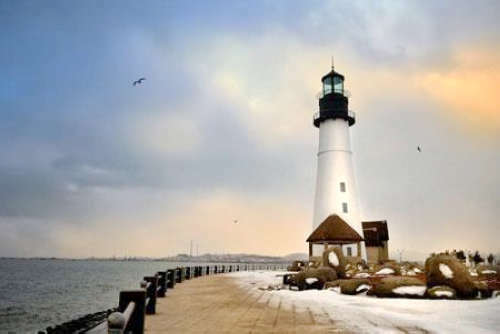 Linyi (lín yí 临沂) city is located at the southeast of Shandong Province, bordering Jiangsu (jiāng sū 江苏) Province in the south and facing the Yellow sea to the east Linyi has a temperate climate and rich precipitation, with mountain areas, hillyland and plains taking 1/3 respectively. 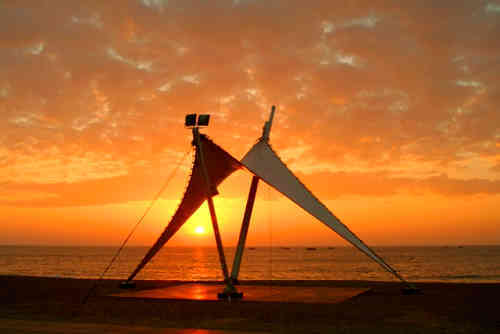 The name of Rizhao (rì zhào 日照) originates from an old saying“It is the first to get the sunshine”.Rizhao is a mew rising port city.It is famous for its blue sky,jade sea and golden beach.It is located at the southern end of Shangdong Peninsula along the middle part of Chinas coastal line.It is close to Qingdao (qīng dǎo 青岛) in the north,neighbors Lianyungang (lián yún gǎng 连云港) in the south and faces Japan and Korea across the sea.The city of Rizhao covers an ares of 5310 square kilometers with the total population of 2775 million.The planned area of the city is 294 square kilometers.And the built area is 36.1 square kilometers with the population of 290000. Yantai (Yāntái 烟台) is a prefecture-level city in northeastern Shandong province. 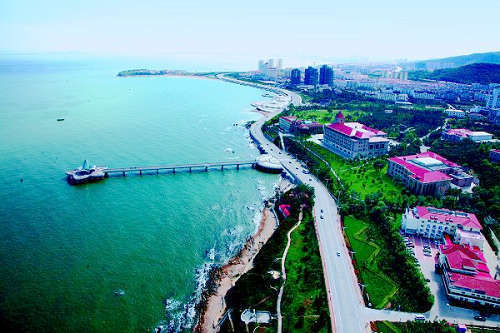 Located on the southern coast of the Bohai Sea (bó hǎi 渤海) and the eastern coast of the Laizhou Bay (lái zhōu wān 莱州湾), Yantai borders the cities of Qingdao (qīng dǎo 青岛) and Weihai (wēi hǎi 威海) to the southwest and east respectively. Weihai (Wēihǎi 威海) is a prefecture-level city in eastern Shandong province, People's Republic of China. 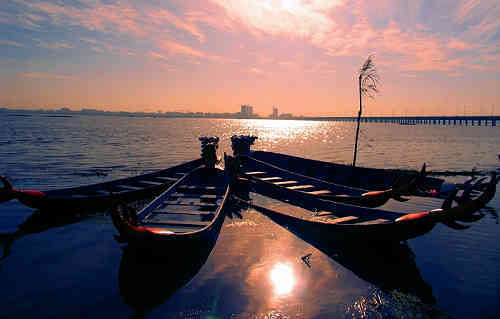 It is the easternmost prefecture-level city in the province and a major seaport. Between 1898-1930, the town was a British colony. Weihai was not developed in the way that Hong Kong, the other British colony in China, was developed, because Weihai fell into Germany's sphere of influence. It was largely used as a naval station and a sanatorium. During the colonial period it was known as Weihaiwai or the Weihai Garrison (Wēihǎi Wèi 威海卫), and sometimes as Port Edward. Weihai borders Yantai (yān tái 烟台) to the west and the Yellow Sea to the east.